Happy Shrove Tuesday! Where I come from, it is called Fat Tuesday and people with links to New Orleans have a Mardi Gras party. But any celebration that involves eating gets a thumbs up from me. In the last 4 years since moving to London, we only have pancakes on Shrove Tuesday. It is really a shame as I like pancakes and they are easy to make. 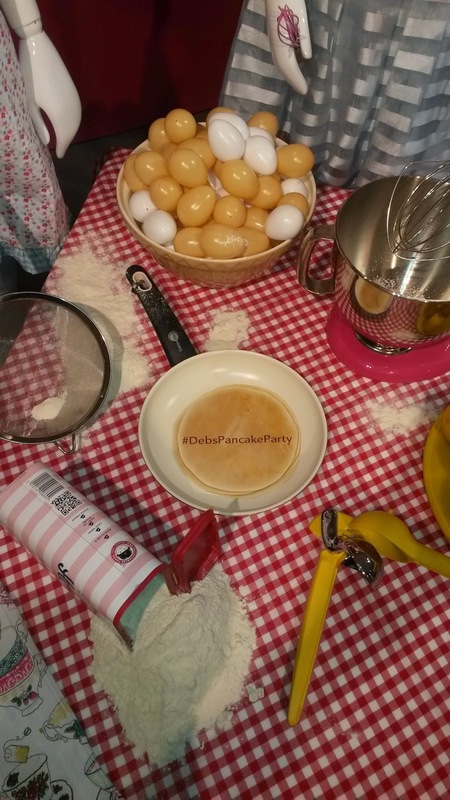 I was very excited when Debenham's contacted me to attend their #Debspancakeparty. 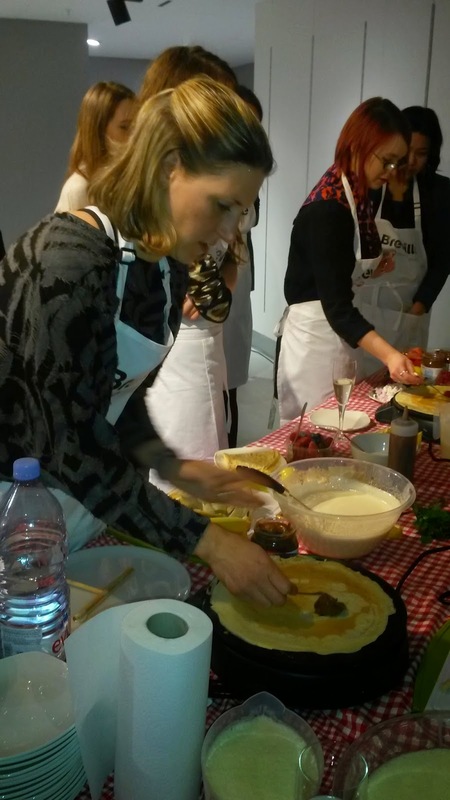 Co-sponsored by Breville, we would be learning how to make the perfect pancake and try an assortment of fillings. Zoe, part-pancake goddess part-Breville food tech, explained to bloggers in attendance the settings their crepe maker should be on for cooking (4) vs warming (1). 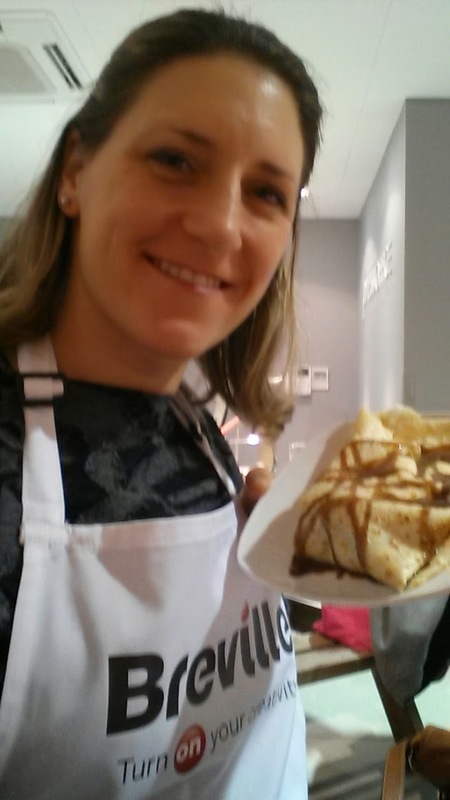 She also had homemade chocolate sauce & crepe suzette (both of which were fantastic) to try in our custom flavor combinations. 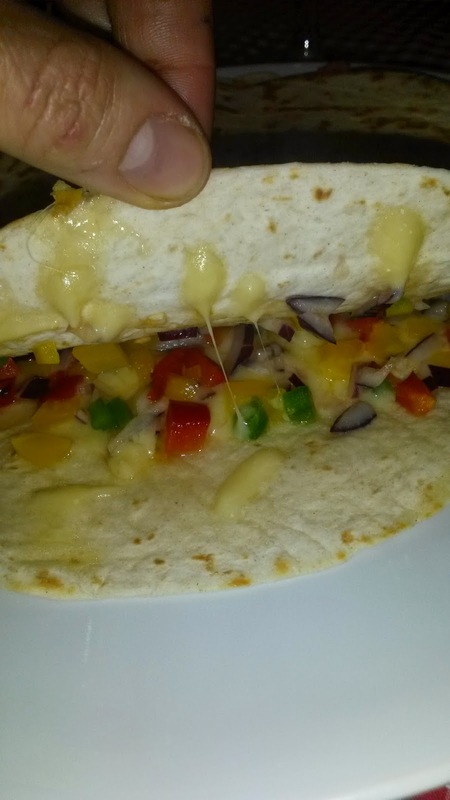 Turns out you can also make quesadillas on the crepe maker with store bought tortillas, shredded cheese, and finely chopped vegetables. I tried a few different flavor combinations, including the quesadilla. When I asked Zoe how many kitchen appliances she had, she said 8 in the kitchen, with cupboards full of winter and summer machines. I am so jealous as there isn't even room for a stand mixer in my kitchen! I cooked the leeks and squash in a frying pan with coconut oil to soften them up a bit. I also drained and chopped up the sundried tomatoes. Whisk or blend everything together except the melted butter. Add that to the mixture last. You will also need to drizzle a little oil into the pan (even the nonstick types) and wipe it around with a paper towel. Pancake making is a big lesson on patience. You need to wait for the pan to heat up properly, then wait 1-2 minutes for the first side to start to brown. Then after flipping, you need to wait another 3-4 minutes for pancake to finish. The good news is that you can start putting your toppings on as soon as you flip it. If you'd like to add some wallop to your pancakes, substitute 50g of flour with your protein powder of choice. We tried with MaxiNutrition Promax lean chocolate, Hale Naturals PPB, and Purition vanilla. All were fab. If the texture isn't quite right, put mixture into a blender for a few seconds to mix well. There are so many photos to make you drool. Check out this Facebook album to find some inspiration and ideas for your pancakes today. Mind you, I had never had a lemon sugar pancake before (remember, I am American). But I would have to say Nutella raspberry was my favorite. (Don't worry if you don't have any Nutella on hand. Try my recipe for homemade Nutella instead). Tweet a photo of your pancake creation to @ptmollie so I can see what you were up to thus morning. If you are truly inspired, the Brevilla crepe maker is £10 off this week at your local Debenham's. Thank you to Debenham's for inviting me out to this tasty evening. I enjoyed lots of good food and met some lovely people too.